Winter is very unpredictable when it comes to eggs. Most winters I get an egg or two per day, but sometimes I get none. Chickens don't lay when they're molting, of course, and lay less when daylight hours get short. Our winter diet adjusts to having less eggs, but also I preserve as many as possible for when laying times are lean. I do this by freezing, dehydrating, and water glassing. Freezing eggs is fast and easy. 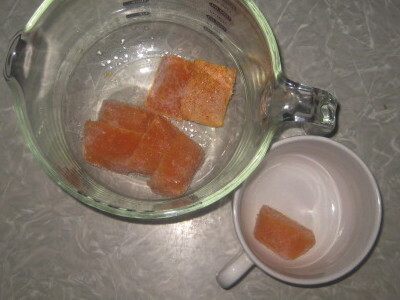 Simply beat them as for scrambled eggs, pour into ice cube trays or muffin cups and pop in the freezer. After they're frozen I put them in freezer bags to save on space. Frozen eggs are great for baking, scrambled eggs, or omelets; I just have to remember to allow time to defrost. I use ice cubed eggs as small singles. A muffin cup will hold close to two eggs. Dehydrating is the most intensive in terms of energy and labor, but powdered eggs are easiest to use, plus they take up the least amount of storage space (cool storage is recommended to prolong shelf life). They can be reconstituted with an equal amount of warm water or milk to make scrambled eggs or quiche. Or they can be added as powder to doughs and batters. Dehydrating eggs is next on my to-do list. The basic process is to beat as for scrambled and dry in the dehydrator at 145°F (63°C). It must be noted, however, that this will not kill Salmonella (which is why commercially dried eggs are pasteurized.) Salmonella requires temperatures of 160°F (71°C), so you must either thoroughly cook anything containing your dried eggs, or dehydrate them scrambled. I use foil for the liquid eggs, but I read a fruit leather sheet works well. Break the sheet of dried eggs into smaller pieces and use a blender to powder. There are more details at the link above, or check out my offer below. Water glassing is the other thing I've learned how to do. What the heck is that? Well, it's on old-fashioned way of keeping eggs without refrigeration. All that's needed is a crock, water (boiled and cooled), fresh unwashed eggs, and water glass. The technical name for water glass is sodium silicate. Back in the day it was readily available at any hardware store, but nowadays it's difficult to find. It's also used to seal cement floors and glue cardboard boxes together, so you may be able to find it in one of those sections in your home improvement store. 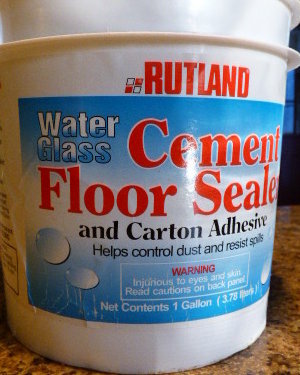 Most floor sealers, however, have other additives, which does not recommend them for egg preservation. Check the label! Pure water glass can be purchased online, at Amazon for example. The eggs must be very fresh, clean, and unwashed. Washing the eggs removes their natural protective coating (the bloom) and decreases storage life. For my one-gallon crock I tripled that. I used 8.25 cups water and 0.75 cups water glass. That generously covered two dozen eggs. 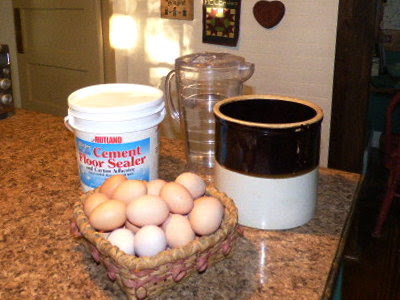 The contents of the crock will evaporate over time, so it needs to be checked periodically and topped off with more water glass to keep the eggs submerged. 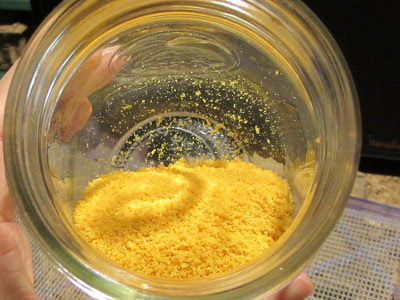 And thanks to comments for this post, I'm working on another technique - "More on Egg Preservation: Liming." 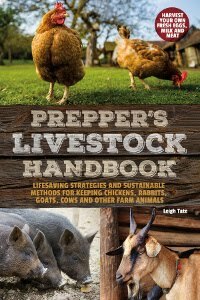 Go grab a copy of my How To Preserve Eggs: freezing, pickling, dehydrating, larding, water glassing, & more. It's free at both Amazon and Smashwords. Great information, thank you! I have been wondering how to do the water glassing and especially where to get it and other names it might be listed under. Have you ever heard about, or tried, the lime method? I have read that the storage life on it is even longer than the water glassing, but have not tried either, yet. We are finally at a point where we could start storing some eggs and want to try it. We had Egg and Olive salad sandwiches for dinner tonight. I think I could just about write a cookbook on the many ways to prepare eggs. Thanks for this post, it was very helpful! Very interesting. What did people do without water glass in days of yore? I'm not sure why you are having trouble getting your chickens to lay in winter. Here in interior Alaska it is down to seven hours of daylight and highs have been in the 20's and lows in the teens and single digits with a few below zero. We are off grid so we use LED 12 volt lights to make up the 14 hour ideal day length. Our 12 pullets have given us 12 eggs five days of the last six. Since you are in warmer climate and on grid it should be ok. Try feeding more protein to make up for fewer bugs. Cheep dry cat food has animal source protein and would be one option. We feed a warn wet mash once a day based on cull potatoes or potato peels boiled and thickened by cooking cheep rice in at the end or adding ground barley or oats and a little protein supplement. They also have 20% commercial pellets free choice. The number 6 method, stores eggs for two years with no spoilage loss and without refrigeration of freezing. I think you’ll find it very interesting. Family story time. When my father left his well paid job in the steel mills to do what he'd always wanted to do and be a policeman my parents lived on very little money. One of his jobs was as a farm inspector, he'd go round and check that they'd got all the licenses and paperwork up to date. He would come home with a tree of walnuts or damsons and eggs, always eggs. Mum used to use a galvanised bucket with a lid and isinglass, she was telling me about it earlier this week. They also coated with lard (larding) and pack them in oatmeal or sawdust. Some folks use mineral oil, coconut oil, or butter the same way. Good to hear from you Howard. We don't keep a light in the coop during winter, which is why I expect and prepare for less eggs. We figure chickens have natural cycles for a reason, so we try to work with that. I live way farther south than you, however, and I would likely be tempted to use a light with severely shortened daylight hours like you have. I hadn't thought about feeding them catfood, although I know they love the sweepings of it my cats drop. I'll have to do some comparisons, although my chicken feed is pretty cheap. I feed 16%, however, and never thought about higher protein in the winter as an aid to higher egg production. Good suggestion; I'll have to do some experimenting! Thank you Leah! Great minds think alike! We have 9 new hens who have started laying now. If it weren't for them we would be out. Our weather has been so crazy that I have not plugged in the light for my older hens who have shut the egg flaps altogether. With that said, I had this subject on my brain this morning too! I flip to FB and up pops your blog post! I have frozen eggs already...haven't tried dehydrating yet...foil is good idea...wondered about using it! water glassing hadn't heard of it before...will have to give it a whirl! again ty! 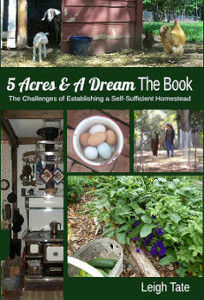 Adding laying hens to the growing 4Shoes menagerie was pondered for a long time - time wasted, I now know. Our first 3 old, white leghorns have been easy to tend, cheap to feed, & have paid off exponentially. If all continues as well as it has been this year, I'll never buy eggs in the grocery store again. Praise the Lord! Very interesting about the water glassing. I've never heard that term before. Does it affect the taste or texture of the eggs at all? Along those lines, I often take dehydrated eggs (purchased) for when I'm doing long backpacking trips in the mountains. We generally reconstitute and scramble them as part of our breakfasts and occasionally for some baking. When eating them, I've always noticed that the flavor is just a bit off. I wonder if you've noticed that. It may just be due to the pasteurization process. I don't mind the odd flavor but sometimes others with me dislike it enough to not eat any. I have never heard of water glassing before. Because our dogs eat eggs, we usually don't have a lot of spare eggs to store, but I think I will try to experiment with water glassing, you never know what the future holds. Thanks Mike! I found these guys when I was researching potash to replace baking powder. They do really great videos with information which is very relevant today. This video is excellent. I also use raw eggs as a "free" protein source for my 4 dogs. I only have 9 layers now after the fox got 21 of 23 on Super bowl Sunday. Well secured but as we found out fox are like Pyrenees's "where the head goes the body will follow whether you think it can or not ". One 3 year old two 2 year olds and 6 coming on a year next Spring. Right now we average about 5 eggs a day. We are in the southern Cascades by Mt Lassen . No lights on them feed 17% pellets organic and augment with salad scraps and they add an occasional rodent on the hoof. Also a scratch mix with BOSS in it. What an interesting method to keep eggs! I don't think I'd ever bother with the dehydrating or freezing, but the water glass method is interesting. Of course, that would assume that I had eggs to keep!! Love it! When you grow your own food, there's almost always a surplus to find something to do with. So nice to share with those who can enjoy and appreciate it. Once you get used to homegrown eggs, store eggs pale in more ways than one. I really like the seasonal flow of our food supply. It makes me appreciate everything so much more. Thank you for providing this great resource material. I've in the past froze eggs in ice cube trays, and dehydrated them. Never water glassing, may have to give it a shot. Leigh, before we got our chickens I tried the mineral oil coated eggs. They were store bought so had been washed. I very lightly oiled them, returned them to their carton, placed them on a shelf in a cabinet in our dining room, flipped the carton every few weeks and just let them be. My goal was to see how long they could go and still be good. This was done over summer in MO so even with A/C it was probably about 76 degrees. At about 6 month I was loosing about 4 eggs from each of the 6 dozen I had put up. I would do a float test every so often. At that point I refrigerated the remaining eggs which were still good. I believe that eggs are not only a great food item but a very hardy one as well. We really enjoy your blog and appreciate all the good info as well as a peak into your life. We also learn from your reader comments. Thank you. Ed, no, it water glassing makes no affect on the eggs. They are just like fresh, it just helps them last longer. I've thought the same thing about commercially dried and powdered eggs. I wonder if it doesn't have something to do with the eggs as well as the processing. I'm guessing they add some sort of preservatives or anti-caking agents that might affect flavor. And I think I'm going to try the liming. I read it affects the flavor, but lime is easier to come by than water glass. Bad fox! That's a huge loss. Surplus eggs make great food for other critters. I used to hard boil them for the pigs and in fact hard boil them for the chickens. Dehydrating takes the most time, but they are very convenient. Water glassing is easy too and most like fresh. Sandy, check out that video that Mike Yukon mentioned. Lots of good information there too. I read a fascinating article several years ago in Mother Earth News with lots of old time egg preserving ideas. One of them was to coat in oil/grease, like water glassing it keeps the air out. Cool! This is really, really useful. I barter our excess eggs in the summer, then find myself buying eggs in winter! Next year we plan to have many more chickens (we have 7 now, want about 15) so I can barter AND preserve for winter. Water glassing is already my favorite. We used waterglass to seal the inside of our earth oven. It didn't quite work and we built a new one instead, but I have a big box of waterglass for this new purpose.!) Thank you! Thanks for sharing! Great information to have on hand! MEN was one of the resources I used for my eBook. They have several excellent articles on comparing nutrition and preservation. Great information! Sounds like a great plan for the best of both worlds. :) Water glassing is one of the easiest. Oh, how I love your blog! When I can sit upright, I prefer to read your work!